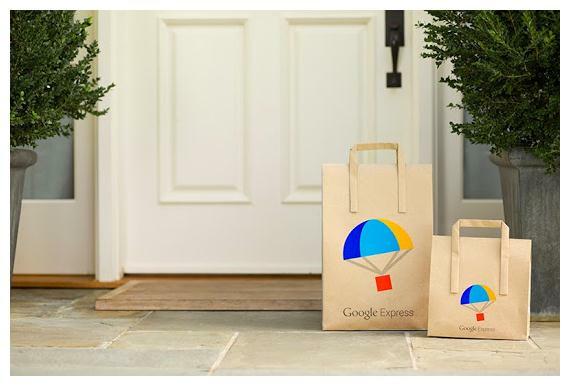 Google today announced an expansion of its home delivery shopping service Google Express, which is now available across a large part of the East Coast. The service lets online shoppers order consumer products like electronics, clothing, health and beauty items, home décor and even dry good groceries, from either the web or a dedicated mobile app. With the expansion, Google Express will reach more than a dozen eastern states, or roughly 70 million more people, says Google. Starting today, Google Express has become available in the following states: Delaware, Maryland, New Jersey, New York, Pennsylvania, Virginia, West Virginia, Connecticut, Massachusetts, Maine, New Hampshire, Rhode Island and Vermont. Shoppers in those regions will be able to order from a variety of retailers, including Costco, Kohl’s, L’Occitane, PetSmart, Stop & Shop / Giant Food (depending on city) Sur La Table, Ulta Beauty, Payless, Adorama, Road Runner, Vitamin Shoppe, Whole Foods, TRU/BRU and Paragon. In metro areas, shoppers can place orders for same-day delivery, while in more suburban and rural regions, the turnaround time will instead be next-day or two-day delivery. This puts Google in more direct competition with Amazon, whose Prime Now service offers same-day delivery in major cities across the U.S., while its Prime membership program offers two-day delivery on millions of items for anyone, whether an urban dweller or not. However, Google Express will no longer bring you fresh groceries, like milk, fruits, veggies or other refrigerated or frozen items. As part of a shift in strategy ahead of this expansion, Google decided to end its fresh grocery delivery services. That means Google Express ceased to rival competitors like AmazonFresh, Instacart or Peapod, and instead will focus on the part of the business that’s easier to scale. The move also comes at a time when more shoppers are turning to Amazon first — a sea change Google is steadily trying to fight. According to a recent survey, more than half (55 percent) of U.S. online consumers now begin their product searches directly on Amazon, up from 44 percent last year. Search engines like Google and Yahoo, meanwhile, saw declines. Google, for example, went from 34 percent to 28 percent year-over-year in terms of web users who began their shopping searches on its site. Google Express generates revenue by charging delivery fees of $4.99 for non-members, but subscribers can waive those fees by paying $95 per year — that’s roughly in line with the cost of a Prime membership. Plus, shoppers also have to abide by store minimums — which are typically $15 but can be as high as $35 — or risk paying additional fees. Google also earns revenue by collecting a percentage of each order. Deliveries, meanwhile, are handled by courier and delivery services. As of today, Google Express is available to around 75 percent of the continental U.S., the company tells TechCrunch. But the size of the market doesn’t indicate how many people know of and use Google Express for their shopping. Google declined to share revenue details, information on the number of deliveries it has processed or any other metrics that offer insight into the service’s traction and growth.